With no NAFTA deal or regard for international trade rules, there is little to stop a petulant and vengeful president from introducing tariffs on other Canadian exports, or from obstructing cross-border flows of goods and people. 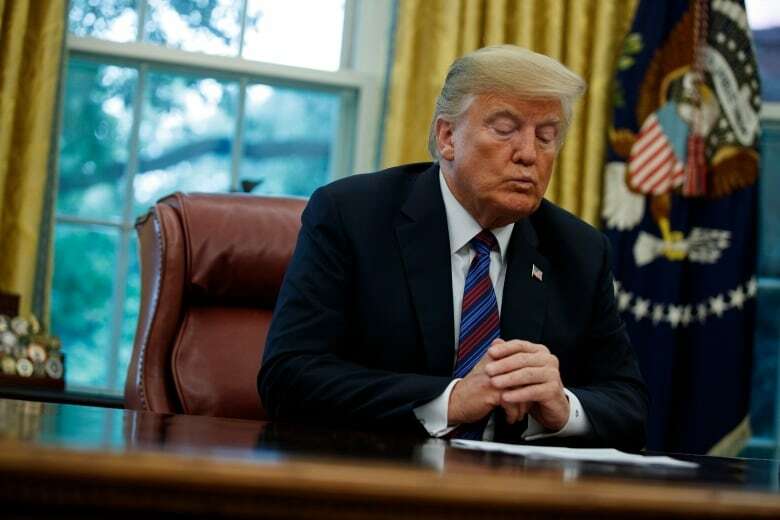 On Monday, U.S. President Donald Trump announced a preliminary trade deal with Mexico, signalling he may withdraw the U.S. from NAFTA unless Canada rejoins the talks on his terms. Trade lawyers will argue about the constitutionality of the president's threats, but Canada has no choice but to take them seriously. Once again at the table, the U.S. will essentially offer us a take-it-or-leave-it deal based on the Mexico-U.S. negotiations. It will certainly be a worse deal for Canada than the NAFTA we have known for more than two decades, and Trump will force Prime Minister Justin Trudeau to either make serious concessions, or else be pushed aside. To accept the Canadian government's mantra that "no deal is better than a bad deal" is to misread the situation. First, that view arrogantly overstates our economic importance to the Americans. Despite having a balanced trading relationship, 75 per cent of Canada's exports are bound for the U.S., while only 15 per cent of U.S. exports are destined for Canada. Our research on the post-Sept. 11 period demonstrates that American businesses can reorient those exports away from Canada when bilateral barriers to trade increase. Second, the argument fundamentally misunderstands how the ground has shifted with Mexico since its incoming president was elected in July. President-elect Andres Manuel Lopez Obrador is anxious for NAFTA to be finalized so that he can focus on domestic matters, and both the U.S. and Mexico are using the transition period to accelerate a deal. Failing to secure even a "bad deal" for Canada would be devastating for the country. 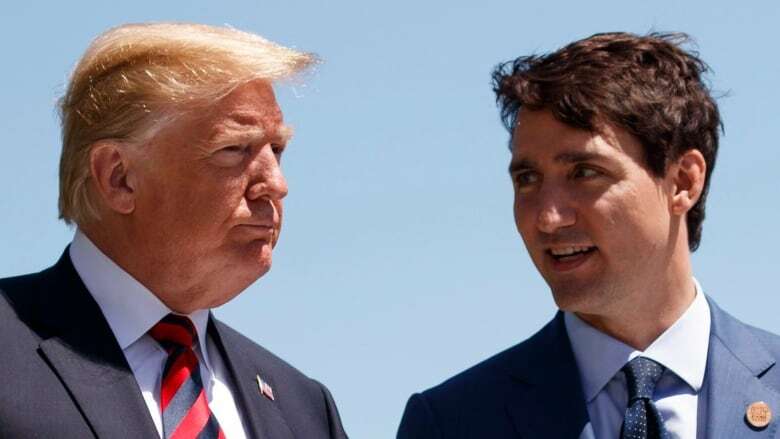 In a situation where Canada walks away from a NAFTA-lite, President Trump has promised to get revenge by imposing punitive tariffs on Canada's auto sector. If introduced in the 25 per cent range, such action would be catastrophic to the Ontario economy, with job losses estimated by some at more than 100,000. With no NAFTA deal or regard for international trade rules, there is little to stop a petulant and vengeful president from introducing tariffs on other Canadian exports, or from obstructing cross-border flows of goods and people. In essence, Trudeau is being forced to negotiate with a gun to his head. There are a range of matters still to be resolved, but it seems as though there are no poison pills left — only bitter ones for Canada to swallow. For example, Mexico has agreed to raise its de minimis value — the threshold below which imports are free from duties and taxes — to $100 USD from $50 USD. That's something that Canada has long resisted, with our de minimis at a measly $20 CAD. I have long argued that Canada should offer to raise its de minimis level in order to make gains at the NAFTA table. Now that Mexico and the U.S. have reached agreement, we gain no leverage for this concession. The main chess move left for Canada lies in the volume of dairy market access the Liberals must concede to satisfy Trump. Provided that Foreign Affairs Minister Chrystia Freeland doesn't entirely abandon Canada's system of supply management to control the price and supply of dairy products, she still has room to negotiate some level of U.S. access without breaking Liberal promises to Canadians. But in order for Canada to make the necessary political concessions on dairy, the U.S. will have to further revise its sunset clause proposal beyond its reported agreement with Mexico to make NAFTA a 16-year deal. Congress strongly opposes an automatic expiry clause, and Canada should continue to argue for its removal from the deal. In many respects, accepting a worse deal will be the price that Canada must pay for the Trudeau government's early missteps on NAFTA. From pre-emptively offering to negotiate the deal before President Trump ever asked, to ragging the puck on negotiations throughout, to criticizing Trump following his departure from the G7 meeting in Quebec: Trudeau's team placed Canada in the penalty box when it mattered most. Now that Mexico and the U.S. have moved forward without us, Trudeau must pay the piper and accept a worse NAFTA. If not, he should be clear-headed about the alternative: an all-out trade war with Trump. High tariffs and other trade barriers on many Canadian exporting sectors, the gutting of our auto sector, the end to NAFTA visas and easy cross-border movement for Canadians and other disruptions to our economy that we haven't yet predicted. One day, Canada can seek to reopen NAFTA again — under a future U.S. administration that is less protectionist and more open to its historic friendship with Canada. Some Canadians will continue to hold out hope for the president's impeachment or for Congress to reject the deal. Perhaps those are future possibilities, especially if the balance of power in Congress shifts following the midterm elections in a few months. But American legislators have done little to curb their rogue president so far and time's up for Trudeau. He has to negotiate now. Meredith Lilly is an Associate Professor and Simon Reisman Chair in International Affairs at Carleton University, and former international trade advisor to Stephen Harper.